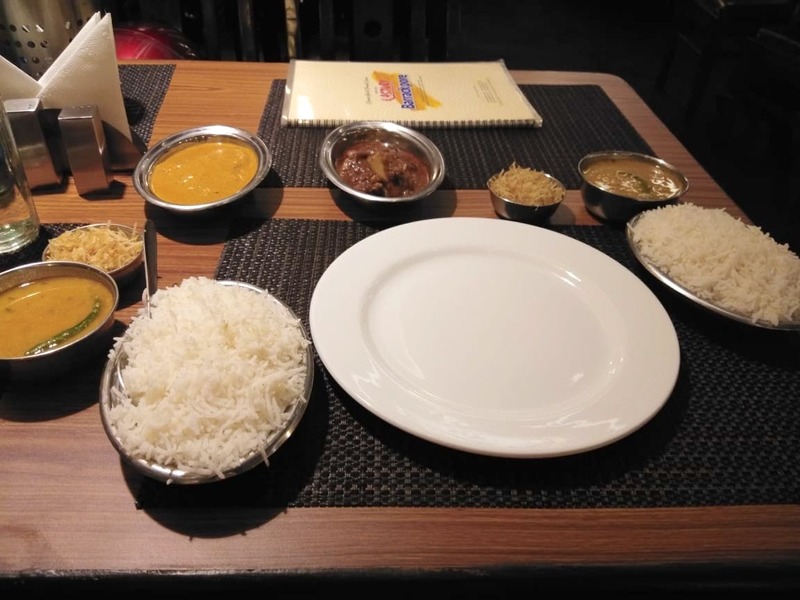 Located on the busy streets of Barrackpore, Kasturi is a must try in case you're looking for affordable and authentic Bengali cuisine. The decor is simple but elegant, and the staff here is polite and attends pretty well. Talking to the food, we were awestruck. Start your meal with steamed basmati rice with moong dal and alu bhaja. The Katla Kalia melts in the mouth and soothes your taste buds. The Ilish Bhapa had the softest Ilish I've ever had. The Mutton Khasa was as delicious as the Gol Bari's. Don't forget to try the Shorshe Ilish Bhapa. The place might be difficult to find, so ask around and refrain from taking your car, you won't find parking easily. Family, Bae, Big Group, and Kids.